*Both organizations are incorporated by the laws of the state of Michigan. Quality One Driver Training believes that driver training programs should promote safe and defensive driving techniques. 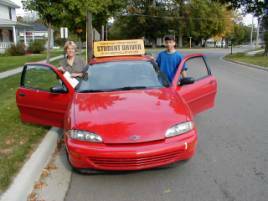 All instructors are third party tested and teach the principles of the third party road test. We currently operate the driver training programs for Waldron Area Schools, Union City Schools, Camden-Frontier Schools, Litchfield Schools and are under consideration for a number of other school systems throughout southern Michigan.